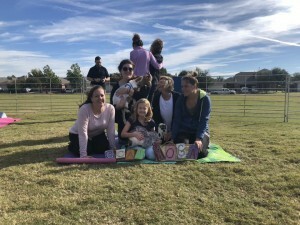 VOWS Residents had a great time practicing their yoga skills, with a little help from some adorable goats! VOWS Fall Festival will be Saturday 10/20 from 4-7 p.m. at Bray Birch Park. There will be a cupcake walk, carnival games, bounce house, bucking bronco, barrel train, vendor Trunk Or Treat, and Crown Catering Mexican Food truck. An open bid charity auction benefiting the Community Storehouse will also be held. The carnival games will be mostly self serve due to insufficient volunteers. See you all soon! Families come celebrate the Fourth of July in VOWS on Saturday, June 30th. The fun will be from 11 a.m.- 2 p.m. at the slide pool park. Enjoy inflatable water slides, water shooters, glitter tattoos, free pizza, sno cones, and music. Come splash Tammy Melendez’s team from Remax Heritage in the dunk tank! If you knock them down, they have gift cards for winners! Please register for free to attend at http://tinyurl.com/vows-july4.